Update: This was post was written for our supporters, but now it’s available for everyone. Enjoy! 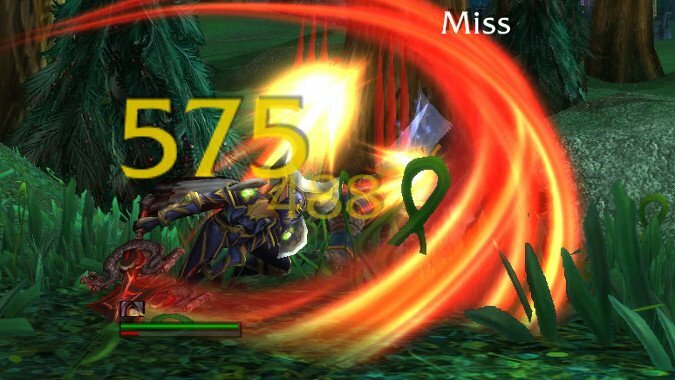 I wrote this post about how leveling in World of Warcraft could be fixed without resorting to a level squish. But ever since Ion Hazzikostas mentioned the possibility, I’ve been thinking about it and I’m honestly not opposed to the idea. I don’t know that it needs to happen, but at the same time I do understand the idea that once we start leveling into the 130s and above it starts to feel like there’s not much importance to each individual level. In fact, right now I’d say we’re already at that point — leveling my Kul Tiran I’ve really felt like going from say, 34 to 35, or even going up three or four levels in a night doesn’t really matter. I don’t get much — the only really important levels are ones where you get a new ability, or the big levels where you get a new talent tier, roughly every 15 levels or so between level 15 and level 90, and then one more at level 100. You can of course just accelerate the leveling speed, or make every new character an Allied Race to skip the first 20 or so levels, or play a class like a Death Knight or Demon Hunter that skips even more levels. But none of that actually fixes the problem. It just puts off dealing with it and compresses the issues somewhat. If you start at level 20, you basically just make level 20 your new level 1, and level 120 your new level 100. So, if it’s decided that something more radical has to be done, how do you go about doing it? How many levels do you want? This is trickier than it sounds, because once you decide you’re going to squish levels to make leveling feel more consequential, you still have to decide how many to squish them by, and then you have to fit all the leveling content currently in the game into those levels. Done improperly, you’ll end up with wide swaths of content shoved into the same relatively narrow bands of leveling. That doesn’t necessarily have to be bad, but it would honestly feel very strange to anyone who’s been playing WoW for a while. For example, if we squish levels down to 1 to 60 for all current content, that means that vanilla WoW content would now likely take up 30 levels, Burning Crusade and Wrath an additional 10 levels (to 40), Cataclysm and Mists an additional 5 levels (to 45), and then we’d have Warlords, Legion, and finally Battle for Azeroth at 5 levels a piece for a total of 60 levels. This may seem simple on the face of it, but then we need to consider things like talents. Are we going lose a talent tier? Currently we have seven tiers that fit within 120 levels with a few strange artifacts — we get our first talent at level 15 and then every 15 levels until level 90, whereupon we get our final talent tier at level 100. If we tried to keep those seven tiers in a 60 level system, how do we best do that? The simplest would be to start getting talents at level 5, then every 10 levels after that until level 55, which would be six talent tiers in total, with the seventh talent tier coming at level 60. It would be inelegant, but it would work for fitting seven talent tiers into 60 levels. This would need to be done for every ability we gain, and everything else we get at specific levels (like mounts) — it would all have to be considered in terms of the new formulation for levels. The case can certainly be made that we spent a lot of levels getting nothing now, but with only sixty levels to carry us all the way to Battle for Azeroth‘s endgame you’d need to make some decisions on how many levels to wait for some pretty classic abilities. Do you want to wait until you’re in Northrend to get Vanish? Would it feel right to be just reaching Pandaria when you finally get Blink? If we want every level to feel meaningful, you can’t get all your core class defining talents and abilities at level 30, after all. How fast should you earn levels? Just because you’ve squished down to 60 levels doesn’t mean you want them to fly by, but you also don’t want getting a single level to take so long that people feel discouraged by it. It could be argued that you want to level to 60 in the new system to take roughly the same amount of time that leveling to 120 does now. But do you? Assuming it takes roughly four days of constant play to get from 1 to 60 — and I’m aware that’s a big assumption because some of us level much faster and others much slower — you’d expect the first 30 levels to take the same length of time and contain all the things one currently gets in that time span. So in 30 levels you’d gain all the abilities and talents you currently get in leveling from 1 to 60, as well as epic and flying mounts. But does that mean it will take twice as long per level? How would that feel to players? Would taking twice as long per level matter to them, when each level is basically two of the previous levels? This is compounded by heirlooms, because if you’re wearing heirlooms you’ll be leveling faster, but will it feel faster? We’ve had item squishes that have compressed almost all the gear we get in classic WoW content so that it barely matters, and heirlooms mean that most players vendor any quest rewards or drops they get. 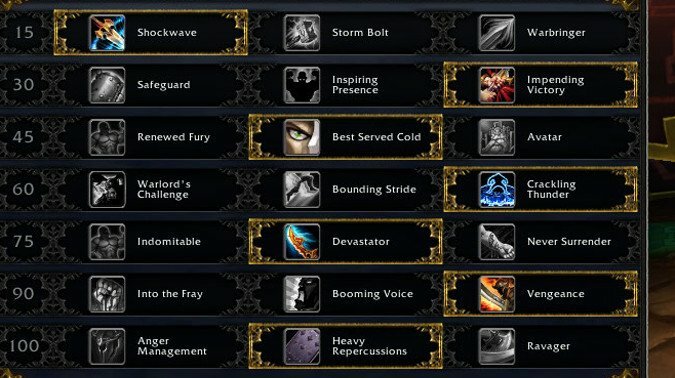 Will heirlooms make the new leveling game feel just as rushed as before? Will they make it feel worse? Will it feel too slow so that heirlooms feel mandatory even if you don’t really want to be wearing them? If you’ve currently scaled all your heirlooms to 110 content, will they squish down to work until level 55? My personal preference is to get rid of them but since I doubt that will happen, these are questions that need to be answered. 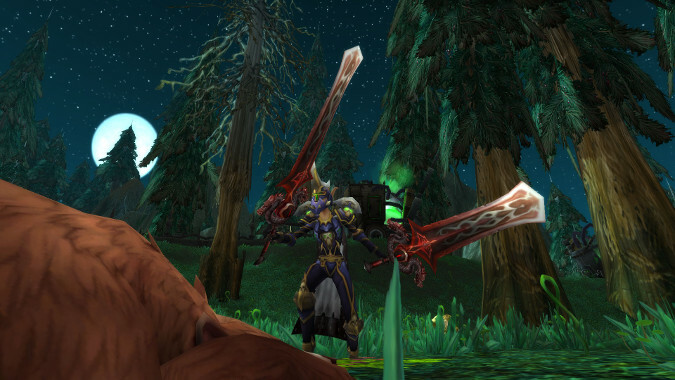 The effects heirlooms have on leveling need to be carefully considered when squishing levels. We’ve seen a lot of negative reaction to the idea of a level squish since it was broached — and that’s not something that can be ignored as we think about how to do it right. Players don’t like the idea of feeling weaker. MMORPGs are games where we progressively grow in power. A lot of systems have evolved over the years to keep that power creep under control — for example, stat ratings that keep you from getting a +3 critical chance trinket when you’re level 20 and keeping it forever. Those systems will need to be carefully adjusted once we have fewer levels. But the idea of the rating decay getting bigger, so that you lose more crit or haste once you level up contradicts the very stated goal of squishing levels. If you want gaining a level to feel big and important, making players dread all the stats they’re going to lose is one way to do it, but it’s not a good way. We saw what happened in Battle for Azeroth when the Legendaries players gained in Legion stopped working: a lot of players felt like they’d suddenly lost all of their strength and turned into easily killed tissue paper. This has always been the risk from the moment they added ratings, and compressing levels is going to exacerbate that feeling of “Oh no, I’m gonna level and drop 3% haste” unless it’s handled very delicately. The fact is, this feeling isn’t merely justified, it’s an endemic problem with the entire concept of squishing levels. And it’s why I think squishing from 120 to 60 is too drastic. 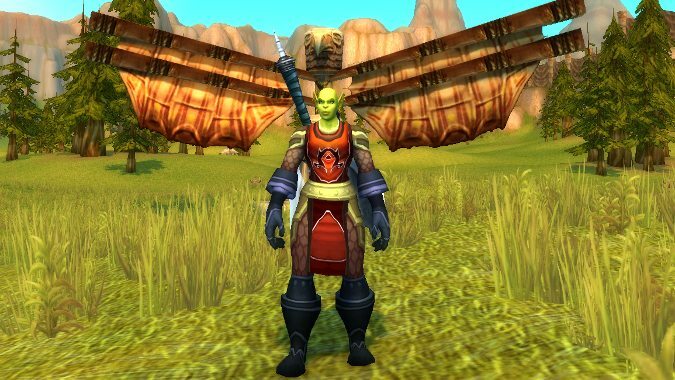 Squishing all current content to level 90 would give you an extra 30 levels to fit in talents, abilities, ratings decay and otherwise ameliorate the negative sensation of trying to fit the past fifteen years of World of Warcraft into the same levels as the original game debuted with. If Blizzard chooses to do this, however they do it, there will be a host of issues that will need to be solved. Many I haven’t even thought of in this post, which I’m sure they’re already aware of. Some, no one has thought of yet, especially not me. If this is going to work, it will need to be done very carefully.